This week, Mary Poppins celebrated her 50th year on the silver screen. Fifty years since Dame Julie Andrews flew in on her umbrella and brought the loveable Mary into the homes and hearts of millions of people around the world. Mary, the magical nanny with the perfect British accent and a bottomless carpet bag, has a unique ability to walk the fine line between merriment and earnestness, and the gift of teaching without people realising they’re being taught – perhaps it’s that “spoon full of sugar”. 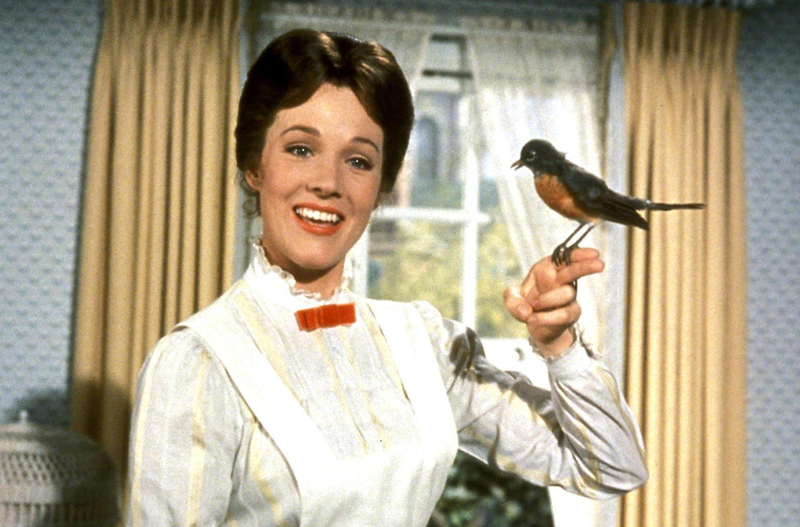 While the movie is as feel good as they come – Supercalifragilisticexpialidocious – it has also played a critical role in many people’s lives and this week TIME described Mary as the original Disney feminist. Half a century later, Mary continues to teach children – and adults – many important life lessons. For communicators we can learn a few lessons from Miss Poppins too. Never give up – some advice from Walt Disney himself who spent years in pursuit of the film rights and also Mary who knows she can win her audience (the family) over! Time for a jolly holiday or at least a weekend! 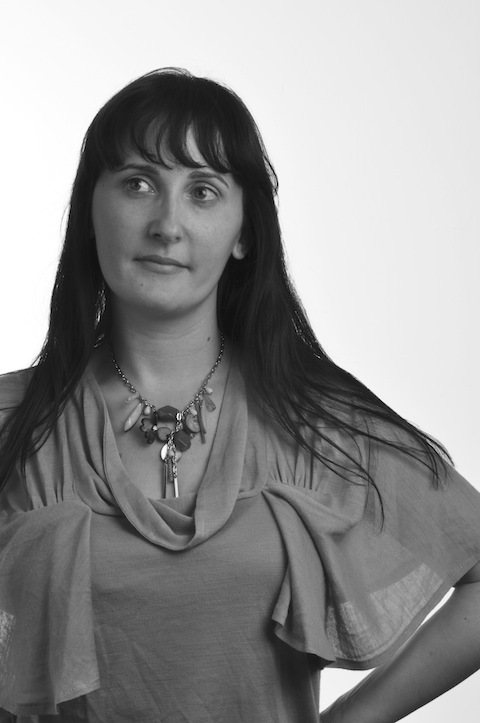 Maryann Separovic is an Account Director at the c word. She made the move to the c word after years of experience in arts and entertainment publicity and promotions. It all depends on which campaign I’m working on but it usually starts with checking news sites to see what happened in the world while I slept. I try to check my Google Reader at this time too; I get a wealth of information here from PR news, social media to what’s current in the blogosphere. While I tap away at my keyboard, I like to keep an eye on Twitter. This is a great tool for me to source articles, news and also engage with fellow communicators, clients, media and the community. Our projects at the c word are varied so the day can include anything from strategy development, proposal writing, copy writing and editing, research to brainstorming sessions and coming up with creative ideas and plans for our clients. Publicity tours can means endless days shuffling from one radio station to a TV studio with my phone glued to my ear. After finishing a Bachelor of Arts majoring in Communications, my career took a slight detour in IT. I leant some invaluable skills in varied roles but I wanted to put my communication skills into practice. A little bit of networking goes a long way and I was offered a fantastic opportunity to work with a freelance film publicist and reintroduce myself to the world of comms. Given that I’ve invested years into watching the West Wing, I think I can count C.J. as a mentor too. What a woman!! Great press secretary and super awesome Chief of Staff. Keep up to date with the changes brought about by technologies. This not only includes the technology itself but knowing that Sally from the suburbs may be a key influencer in your field. I’m very proud of the Run for Safe Climate social media campaign we worked on last year. We didn’t have much lead-time but we hit the ground running (oh dear … pun not intended) and managed to achieve some great results for Safe Climate Australia. During that manic six weeks, we grew their social media network to 1500+ fans on Facebook and close to 1000 Twitter followers. With key influences like Greenpeace, Cool Australia, Green Cross and Victoria Police lending support through their networks, we reached a further 50,000 fans and followers and also secured interviews with traditional media via Twitter. Working on Passion of the Christ also needs a special mention. Up until this film, I had worked mainly on small independent films that did solid box office takings given their size. The media mayhem that led up to the film’s release was eye opening. Great experience. I love the campaigns that do so much with so very little. This was well before myspace, Facebook and other social media channels. Word-of-mouth at its best. While technology has changed how we work as practitioners, the fundamentals are still the same. Building and nurturing relationships, and conveying key messages are still crucial but we may go about it a little differently. *hand over ears* nah nah nah… I can’t hear you. Hmmm…not sure if I have one. Apple may be my closest experience with brand loyalty but even I look upon that relationship cautiously. I am impressed with a couple of Australian organisations who have flourished since gaining an understanding of their audience and tapping into it effectively. Channel Seven and Country Road have made this turn around. Sportsgirl is another I admire for having an impressive digital strategy. When I was in New York in 2009, I happened on a book launch tweetup for World Wide Rave. The tweetup launch was being held at the NASDAQ with author David Meerim Scott ringing the bell to open the NADAQ stock market. It was a fun day and introduced me to this fantastic read about marketing online packed with useful examples. After attending the launch, I added Mr Scott’s blog Web Ink Now to my Google Reader subscriptions. Easy read, great advice, the man knows his stuff. The Scout’s are onto something … be prepared. Research and planning make solid foundations for any campaign or activity. There’s an old saying that there’s no such thing as bad publicity. Although China and anti-Kadeer supporters may argue otherwise. Sunday saw the final day of the Melbourne International Film Festival and what a festival it was. In the lead up to MIFF, Melbourne was buzzing with news that Quentin Tarantino was coming to town. Who would’ve thought a 62 year old Uyghur grandmother would steal his limelight? And do so convincingly. The 10 Conditions of Love is a 55 minute documentary by Australian director Jeff Daniels about an extraordinary woman, Rebiya Kadeer. It follows her journey as she campaigns for the rights of the Uyghur people who live in Xinjiang. This previously autonomous region known as East Turkistan by the Uyghur people, was annexed by China in 1949 but unfortunately hasn’t received as much attention as Tibet. Until now. A week before MIFF, very few people in Australia had heard of Rebiya Kadeer. With hundreds of films screening including Lars von Tries’ controversial Antichrist and Tarantino’s Inglourious Basterds… it should have largely gone unnoticed. But then China stepped in. The Chinese consulate contacted festival director Richard Moore, after the festival’s program was published in The Age, insisting the documentary The 10 Conditions of Love be withdrawn. The consular official, Ms Chen asked Mr Moore to justify his decision to include the film and chastised him for inviting Ms Kadeer to be a guest of the festival. Her request to remove the film from the program was refused. “When I told them that I did not have to justify the film’s inclusion, they became increasingly insistent and proceeded to list her (Ms Kadeer’s) crimes,” Richard Moore told The Age. And it didn’t stop there. As if we were in an episode of Spooks, the MIFF website was hijacked and flooded with pro-Chinese slogans, anti-Kadeer sentiment and Chinese Chinese flags blocking bookings. The following week the website was attacked again with all sessions being listed as SOLD OUT. These attacks were found to originate from Chinese portals and IP addresses. Also emails were circulated about how to sabotage the MIFF website. Six Chinese films were pulled from the festival program in protest. Lord Mayor Robert Doyle was even pulled into the debate with China threatening to end Melbourne’s 29-year sister-city relationship with the city of Tianjin. This could have major economic implications for Victoria however Cr Doyle rejected China’s demands. And what has been the results of this bullying and demands for censorship? 1. MIFF officials announced at the screening that the past weeks has garnered more international press for the festival than its last 58 years combined. 2. The film’s sessions were both sold out. In fact the 2nd session was so popular, it had to be moved to the Melbourne Town Hall where 1500 people packed in to see the film and the queue extended beyond two city blocks. 3. Channel 7 and Channel 9 sent news crews to the last screenings which further publicised the film on domestic news. 4. Cinema Nova has secured rights to continue to screen the film in Melbourne. 5. It’s sparked interest globally from other film festivals wanting to screen the film. 6. Despite efforts to sabotage the festival, this year’s box office and attendance records have been broken with attendance up to 190,000 according to Innovation Minister Gavin Jennings. Sometimes it’s better to keep mum then have a public slinging match. From a communications point of view, what can we learn from this? ✖ Don’t get too aggressive, heavy-handed tactics don’t work. ✖ Bullying can’t win you any supporters. ✖ Don’t think that if you refuse to respond, the story will go away. If given the opportunity to address your opponent on film, “no comment” sometimes speaks volumes. Chinese officials declined to participate in the film. ✖ Trying to censor the public, the arts or a cultural festival only adds fuel to the fire. ✖ Don’t try to manipulate the message illegally or falsely. Hacking websites, posting comments under fabricated aliases or lying only ruins your credibility. ✖ Don’t expect coverage of governments and organisations to always be favourable. ✔ Speak to the media. Get your message out there too. ✔ Know your audience. What works in China won’t necessarily work in another country with different values, traditions and culture. ✔ Choose your battles wisely. ✔ Be willing to compromise. ✔ Also remember to ask nicely. Being hostile from the start will not help you achieve your outcome. And what do the c-worders think of China’s bullying tactics? We’re glad it backfired on them. In the words of the beautiful Divine … “you think you’re a man, but you’re only a boy” 😛 OK it was a stretch to link the most awesome-ness of awesome Divine to the censorship friendly Chinese. Polar opposite, in fact. But if we want to dance around the office on Friday afternoon to Divine, well… we can.